Brothers David & Eric Shoemaker are the "shoes" behind Liquid Shoes Brewing. 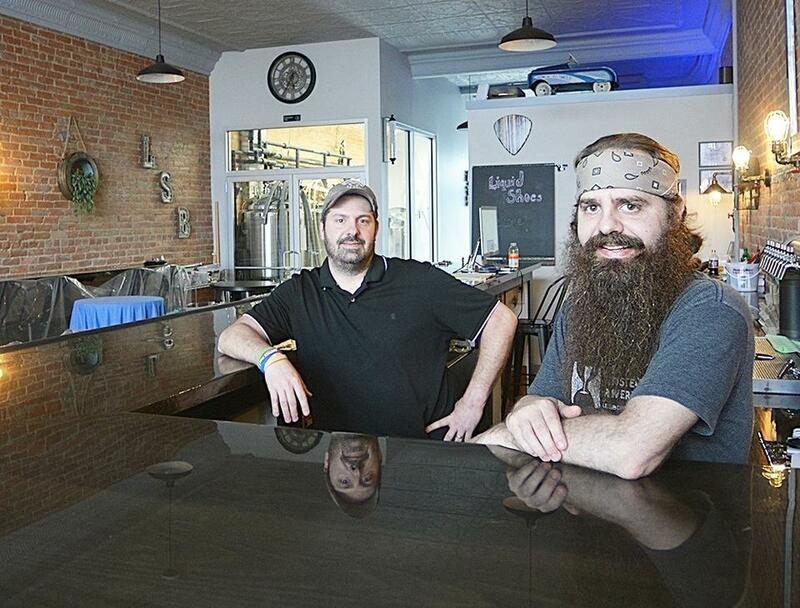 Eric, the Brewmaster, and David, the business head, have taken their love of beer and opened Liquid Shoes Brewing on Market Street in Corning, NY. 32oz Crowlers To-Go now available! Stop in and take one home today!